Alexopoulos in 1952 defined Fungi as -“nucleated, achlorophyllous organisms, which typically reproduce asexually and sexually and whose usually filamentous, branched somatic structures are surrounded by the walls containing cellulose or chitin or both”. Fungi grow on humus soil (mushrooms), on tree trunk (polyporus), on dung ( ascobollus), symbiotically with algae (lichen), symbiosis with plant root (mycorrhiza). Unicellular (yeasts), multicellular or dimorphic (Candida albicans). Fungi are eukaryotic, cell wall consist of chitin or cellulose only lack of any plastid. 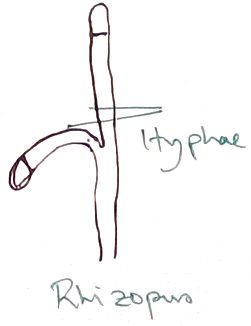 Body of fungus consist of microscopic threads or filamentous structure called hyphae. It is a web of hyphae called mycelium. Lomasome is a convulated complex of membranous outgrowth of plasma lemma that lies below the cell wall. Nuclei undergo intranuclear spindle formation. 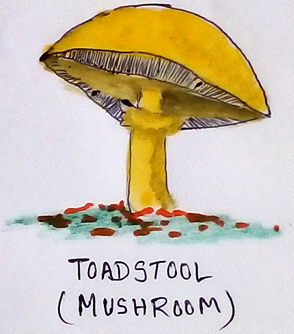 Fungi do not contain any chlorophyll, so they cannot make their own food. For nutrition they are saprophytic in nature. They have some species types of enzymes in their body. They grow on dead plants and animals and collect their food by making lyses of the dead tissues. In Fungi three types of reproduction can be seen. Vegetative reproduction- Vegetative reproduction of Fungi can proceed by budding, fragmentation, fission, rhizomorphs, sclerotia. Asexual reproduction – Accomplished by means of spores. They are Conidia, oidia, chlamydospore, endospores, basidiospore, uredospore, ascospores, pycniospores, teleutospore. Sexual reproduction- It occurs by fusion of egg and motile male gamete. It is of 3 type- isogamy, anisogamy, oogamy. 1. In industry mushrooms are cultivated as their nutritional value is very high. Mushrooms are rich in vitamin and minerals (especially vitamin B). It is also rich in protein and uses by the people those who are no vegetarian for their protein supplement. 2. 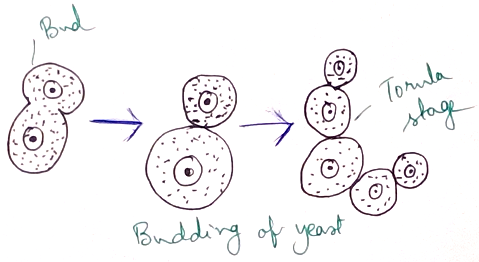 Yeasts are used in bread making industry because they give out carbon dioxide and made the item spongy. 3. Yeast is also used in fermentation industry for making wine as it turns glucose into ethyl alcohol. 4. Penicillium is enriched in high quality of protein, fat, minerals (calcium, phosphorus), vitamin A, vitamin B which adds flavour to the cheese. 5. Aspergillus produces citric acid, Gallic acid which is used in chemical industry. 6. Penicillin was the first antibiotic that discovered from Penicillium notatum. 7. Beside these fungi are also used for synthesis of different vitamin, protein, fats, and enzymes. 1. What is the black powder we see on stale bread? The black powder is the spores of moulds, (like Rhizopus), that fall on it and germinate to form mycelium, when a piece of bread is kept in a warm place. 2. List five important steps for cultivation of mushrooms. 3. What do you mean by fermentation? It is a type of anaerobic respiration done by yeast and other microorganisms where glucose is converted into ethyl alcohol and carbon dioxide. 4. Name one harmful fungi. Phytopthythora infestans-late blight of potato.